Waterproof cement is produced by mixing a small percentage of metal stearates (Al, Ca, etc) with ordinary cement, during grinding stage. Concrete made with such a cement is more resistant to water penetration than the concrete of ordinary cement. 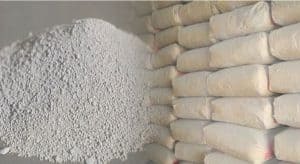 Due to having resistance power to water penetration, this cement is mainly used in water retaining structure construction such as reservoirs, water tanks, dams, retaining walls, bridge pier, swimming pools etc. This cement is also more resistant to the corrosive action of acids, alkalies etc. which are usually present in the industrial water. Also Read – Retaining Wall Design. If you liked this article then subscribe to our daily newsletter.